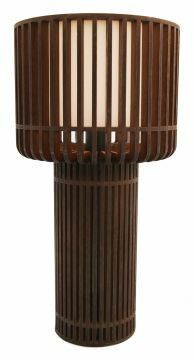 From our Juno range, this is a smaller version of our NE571 Juno table lamp. 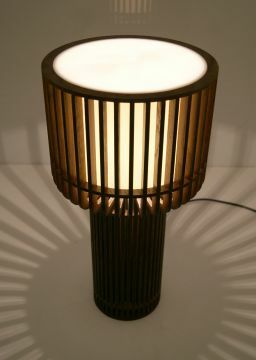 The timber fins create both the solid base and upper shade part of the lamp. 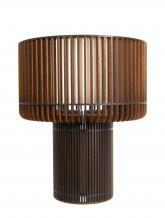 The acrylic inner shade diffuses the light through the fins of this statement piece. All of the products in our Juno range are constructed using real wood veneers which can be stained to a variety of colours to suit your scheme, please contact us for further details.